The Cougars were done with their signings by 6:50 a.m., picking up defensive end Nicholas Sheetz and junior college offensive tackle Jimmy Price. 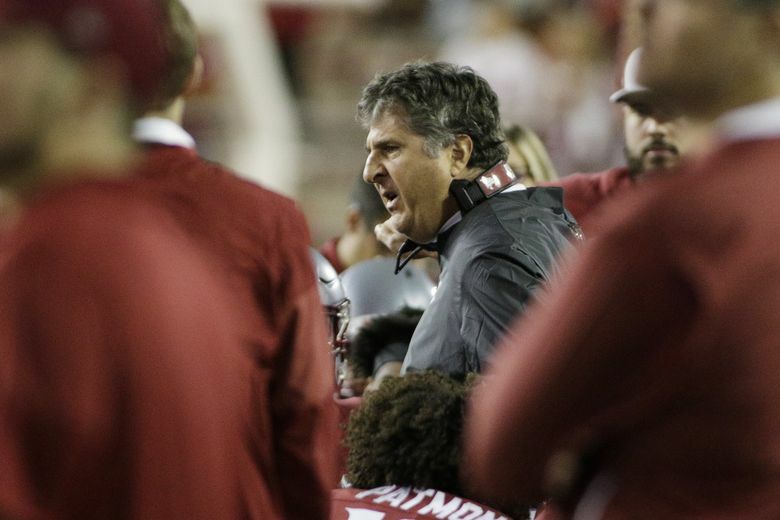 PULLMAN – As far as a national signing day workload goes, Wednesday’s was on the lighter side for Mike Leach and his Washington State staff. The day started at 6:37 a.m. when the Cougars received a letter of intent from high school defensive end Nicholas Sheetz. Nearly 13 minutes later, it was over. Jimmy Price, a junior-college offensive tackle, made it official at 6:50, capping a short-yet-productive signing day for the Cougars. Historically, Feb. 6 has been the busiest day of the year for college football programs across America, but since the inception of the early signing period, a three-day stretch in late December has become far more pivotal than a 24-hour block in early February. Leach and his coaches had only four more scholarships to offer after 20 recruits signed binding agreements with the Cougars in December. Sheetz and Price accounted for two of those, which keeps two more scholarships vacant. Last year, the Cougars still had a few to spare in May when they signed graduate transfer quarterback Gardner Minshew and West Virginia transfer nose tackle Lamonte McDougle, along with junior-college safety Chad Davis Jr.
WSU managed to strengthen both sides of the line Wednesday, signing a 6-foot-3, 255-pound edge rusher, and a 6-foot-5, 295-pound offensive lineman with previous experience, both at the junior college and FCS level. A native of Greenwood, S.C., Sheetz was a three-year letterman at Emerald High School, where he was an All-Region defensive lineman his junior and senior seasons. The three-star prospect was rated the No. 36 overall recruit in the state of South Carolina and tallied 52 tackles, nine tackles-for-loss, four sacks and six pass breakups last fall. Leach didn’t hold an official news conference Wednesday but commented on both players in a school release. The Cougars intended to sign four defensive linemen during the early period, but two defensive tackle targets – Nassir Sims and Dejon Benton – ultimately gave their signatures to San Diego State and USC. WSU salvaged one of those spots by inking Sheetz, a lightly recruited prospect who didn’t hold a Power Five offer until the Cougars came knocking late in the process. Price, who spent one year at Stephen F. Austin before transferring to Tyler JC, wasn’t on WSU’s radar until former Lumberjacks OL coach Bill Best referred him to Cougars’ OL coach Mason Miller. Price got another glowing reference from an assistant coach at Incarnate Word, where Miller and WSU had been holding practices leading up to the Alamo Bowl. The Cougars return four starters on the O-line, but lose All-American left tackle Andre Dillard. Price could compete for Dillard’s job or potentially Abraham Lucas’ right tackle spot if the Cougars opt to move the Freshman All-American to the other side of the line. Price, who played in eight games at SFA and started in two, has three years to play two and therefore could redshirt in 2019.